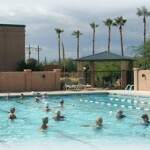 Green Valley Recreation owns and operates 13 Recreation facilities located throughout Green Valley. 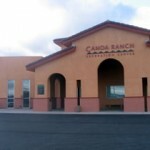 Green Valley Recreation offers two types of facilities to the membership, which include: Major Centers and Satellite Centers. Green Valley Recreation members “beam with pride” over the cleanliness and general maintenance of their facilities. Green Valley Recreation’s Centers provide over 126,000 square feet of interior space, which is equivalent to more than two football fields in size!! Major Centers are large recreation complexes that range in size from 15,000 square feet to 25,000 square feet. Typical amenities available at a Major Center include: an auditorium, social and meeting rooms, a catering kitchen, swimming pool with a spa, hobby/craft studios, a fitness center, tennis courts, and shuffleboard. Members can get guest cards, purchase tickets to events, and register for classes at Canoa Hills Center, East Center, Las Campanas Center, and West Center offices. The Santa Rita Springs Center office is open seasonally. Click here for center room information: meeting rooms and areas. 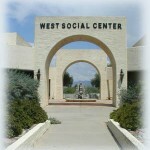 Satellite Centers are small neighborhood recreation centers averaging 2,000 square feet in size. Typical amenities available at a Satellite Center include: a meeting room, kitchenette, swimming pool with a spa, and a shade ramada. Includes: Pool, spa, fitness center, Bocce courts, tennis courts, picnic area with charcoal BBQ grilles, art exhibition center, large meeting room, catering kitchen, small stage, and wood dance floor. Includes: indoor pool spa, fitness room, and a multipurpose room. Includes: Pool, spa, sauna, art studio, lapidary studio, ceramics studio, art exhibition center, auditorium with stage, catering kitchen, meeting rooms, shuffleboard courts, billiards, fitness room, and tennis courts. Includes: Pool, spa, Pickleball courts, fitness center, billiards, art room, auditorium with stage, catering kitchen, shuffleboard courts, lapidary studio, rose garden, and tennis courts. Includes: Pool, spa, meeting room, catering kitchen, fitness center, racquetball courts, and tennis courts. Includes: Pool, spa, fitness room, clay studio, computer club, camera studio and darkroom, dance studio, catering kitchen, meeting rooms, art studio, and charcoal BBQ grill. Includes: Pool, spa, lapidary studio, wood shop, gift shop, billiards, large auditorium and stage, meeting rooms, shuffleboard, tennis courts and tennis center, catering kitchen, and art exhibition center. Includes: Pool, spa, and meeting room. Includes: Pool, spa, meeting room, horseshoe pits, shuffleboard courts, and sand volleyball. Includes: Pool, spa, meeting room, and shuffleboard courts. Includes: Pool, spa, shuffleboard courts, tennis court, picnic Ramada with gas BBQ grilles, and meeting room. * Some Center Offices may be closed during the summer months.